Once you have bought a property in Queensland, your name (along with the names of the other buyers) will be listed on the title to that property. When you purchase a property with two or more buyers, you have two options for how your names can be listed on the property title – either as “Joint Tenants” or as “Tenants in Common.” What many buyers don’t consider prior to their purchase is which of these options is better for them. “Joint Tenants” is a legal way of saying that all the people on the title own the property together. In other words, one person’s part of the property cannot be separated from the rest of the property. One result of owning a property as Joint Tenants, is that if one of the people on the title passes away, their name is simply removed from the title to the property; the property title itself remains whole, just with less owners. This option is more common between married or de facto couples, as the surviving spouse will receive their partner’s portion of the property. In contrast, by owning property as “Tenants in Common”, buyers are able to assign shares of the title to the property as they wish. This is essentially the property version of cutting different sized pieces of a pie – you can decide how big each piece of the pie should be, and how many pieces you want. For example, four buyers can own a property as Tenants in Common with equal shares (25% each), or three buyers can own the property with one person owning 70% and the other two each owning 15% respectively. Another option, which is particularly popular for taxation purposes, is for one person to own a 99% interest in the property, and for the other to own a 1% interest in the property. The other main difference in holding property as Tenants in Common, is that should one of the property owners pass away, their share in the property is distributed according to their will, rather than it automatically passing to the surviving owners of the property. It is most common for this option to be used for investment properties, or between parties who have purchased the property due to a business relationship. 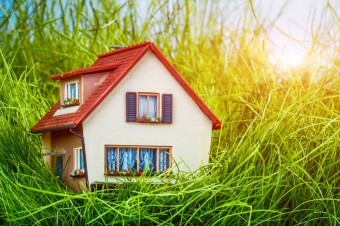 Which ownership option is the best for you will depend on your personal circumstances, such as who you are purchasing the property with, the intended purpose for the property, how much money the buyers are each contributing to the property, and whether the buyers have current and valid wills. We would also recommend that you consult with your accountant and financial advisor to determine the benefits of each option prior to signing a contract of sale to buy the property. Who has the right to decide what happens to your body when you die? The subject of death and burial is highly sensitive and extremely personal. Most people have strong opinions concerning what they wish to happen to their body after they die. It is common for people to make express directions in their will regarding funeral arrangements and instructions on how they wish their body to be disposed of following their death, and indeed it is prudent to do so. It is a widely held belief that such directions are binding and enforceable. 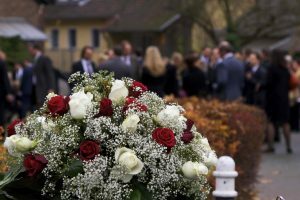 In fact, many people would be surprised to discover this is not exactly the case, and even where you have specified your wishes regarding disposal of your body in your will generally at law they do not have to be followed after your death. In today’s diverse society, situations may arise where there are competing wishes relating to burials and funerals among different family members and friends; often stemming from opposing religious or cultural beliefs relating to death and the afterlife. For example family members may have very strong views for or against cremation which do not align with the decease’s wishes or there may be competing views on where the burial site should be located or what sort of funeral service should be held. These differing views can lead to the intentions of the deceased being expressly ignored. The impact of this can be quite devastating for the family and friends left behind. These cases can end up before the courts,where judges often have to consider complex rules of common law and equity to resolve the disputes, which compounds the distress of what is already a difficult and emotional time. It is crucial to note that at common law there are no property rights in a dead body, therefore your body cannot be left to your estate under your will in the same manner as other real or personal property. The right to possession of a dead body exists only for the purpose of its proper disposal. It is the executor, or if a person died without a will, the person most likely to administer the estate, who has as the sole right to arrange for the final disposal of the deceased person’s body. This right is subject to limited qualifications and the executor or administrator (known as the personal representative) cannot exercise this discretion unlawfully or unreasonably. The personal representative’s wishes regarding disposal of the body are given precedence over the wishes of all other persons, including the deceased. The one exception where the law will uphold the intentions of the deceased is in relation to cremation. Legislation has been introduced in this area to modify the common law position, although the law differs between the states. Make sure you appoint an executor that you trust to execute your wishes faithfully. The friendly team at Just Us Lawyers can help with your estate planning and assist you with drafting a will to reflect your wishes concerning burial and funeral arrangements. Calma v Sesar& Ors (1992) 2 NTLR 37; 106 FLR 446. Smith v Tamworth City Council (1997) 41 NSWLR 680, at 693–4. Cremations Act 2003 (Qld) ss 7(1)–(2). Cremations Act 2003 (Qld) s 7(3).